Hi all! Welcome to another day of Stamp Highlights! Today we are looking at projects with these cute banners from Sentiments From A Yeti! If you already saw these projects early yesterday on the blog (because I flubbed), then you may want to go back to yesterday's post to take a look at the new projects you may have missed! It was just one of those Mondays for me! Let's take a look at more adorable Yeti cards! Deasy created a cute Christmas scene using Me And My Yeti and Little Santa Agenda together! 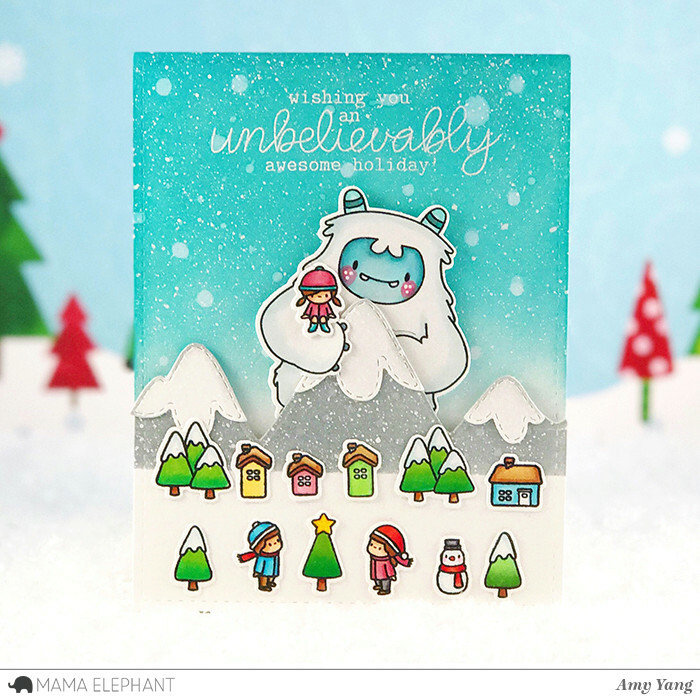 Amy's winter scene is so sweet! Love that sparkle! eti and friend are ready for Christmas with this snowy shaker scene, sentiment stamped and embossed on a banner, and hanging star garland! What a beautiful ombre background! And how silly of Mr. Yeti to be holding the tiny christmas tree in his hands! 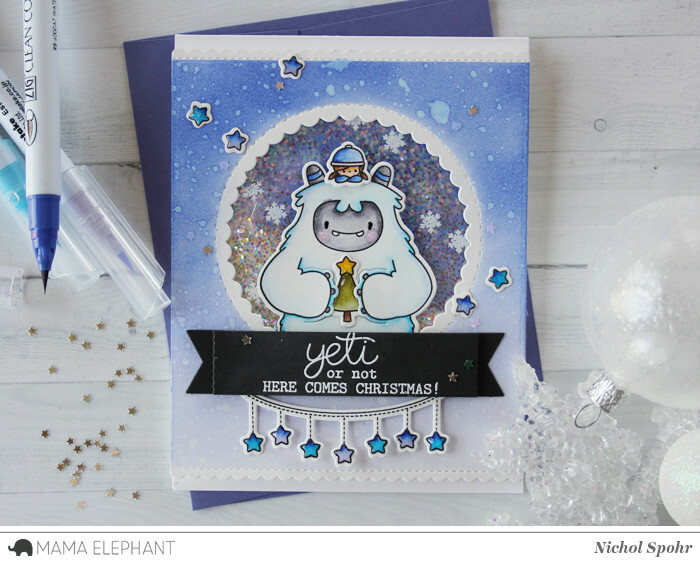 We love this Yeti Christmas party by Vera! 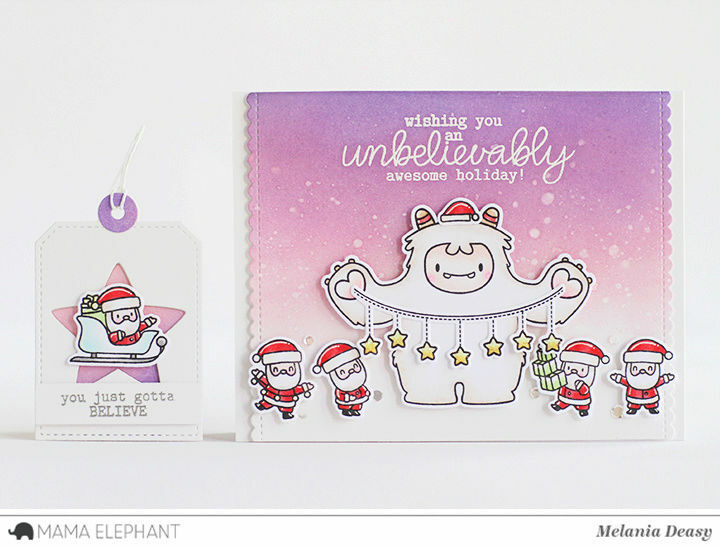 A sweet combination of the Yeti and the little Santas from Little Santa Agenda! Gah! These are just too adorable! 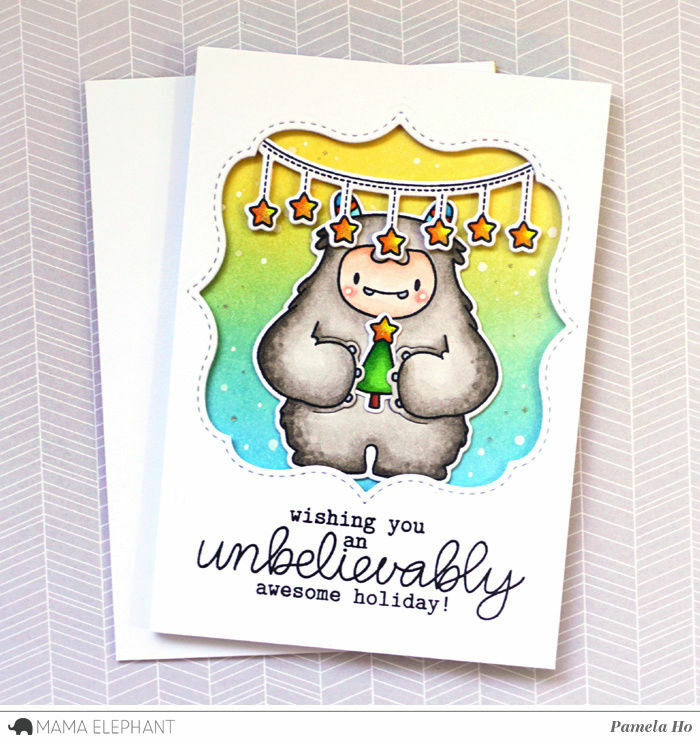 I can't wait to yeti up some cards like these wonderful stampers! So many wonderful Yeti Christmas cards! All of these yeti cards are just outstanding and they each one had made me smile. The more I look, the more I am in love with this cute Yeti, beautiful cards! Amazing colours and designs ! So much cuteness !! Love this stamp set, great cards by the design team! This stamp set is so awesome. I love the cute images.. I LOVE these cards. I love this yeti and these cards are so cute I can't stand it! Al of these cards are adorable but Amy's really is my favorite, it reminds me of the movie Rudolph with him on the mountain for some reason. Adorable cards! I need that stamp set in my life! Not usually a yeti fan, but this one is so cute, especially pared with the little people!